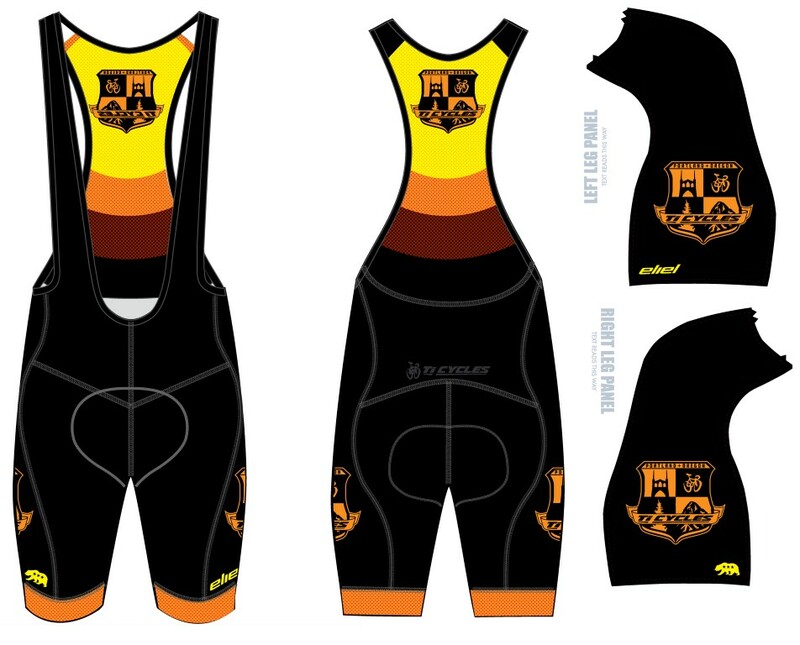 Printed, cut, and sewn in California, these are some of the highest quality cycling kits we have ever seen, period. Eliel outfitted our PDX TI elite cycling team last season and the gear performed exceptionally well, even in the muck of cyclocross. Classic black with SUMMER SUN HI-VIZ graphics, perfect for summer. Pick one up while you can!! On a related note, if your group or club or team is planning to purchase custom cycling apparel in the near future we cannot recommend Eliel enough. They do everything in-house, can accomodate very small orders, and are really great people. More to the point, the quality and detail of their gear is unrivaled.